The firm served as lead counsel to the Creditors’ Committee in the successful reorganization of Byers Electrical Contractors, a local electrical contractor that does a substantial amount of work for the State of Delaware. The firm serves as Delaware counsel to Wilmington Trust Company, as indenture trustee for certain noteholders, in the Tribune Company bankruptcy case. The firm serves as Delaware counsel to the Creditors’ Committee in the Allied Systems Holdings bankruptcy case. Allied Systems is the leading new car transporter in the United States. The firm served as bankruptcy counsel to the purchaser of the former Bethlehem Steel plant at Sparrows Point in Baltimore, MD. The firm served as lead counsel for the Debtor in the Chapter 11 bankruptcy case of Moll Industries. Moll was a leading manufacturer of plastic injection molder components for medical devices. 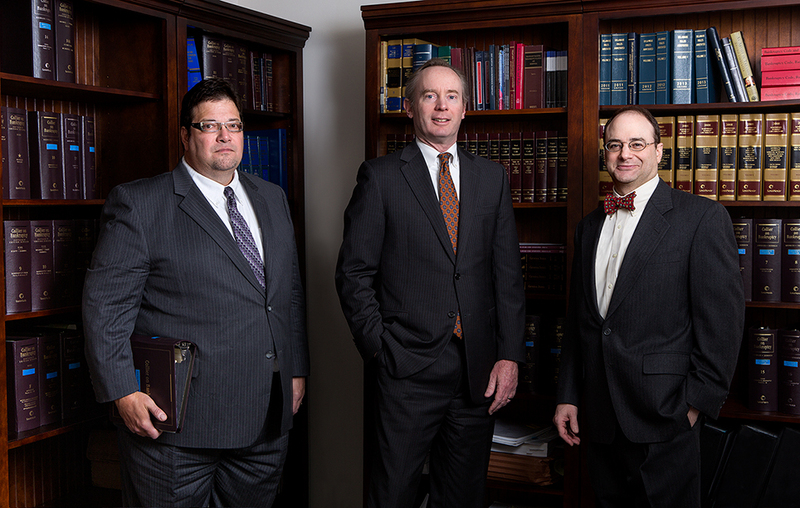 Sullivan · Hazeltine · Allinson llc is a boutique law firm dedicated to serving our clients' business litigation needs. Our core practice focuses on representing parties in interest in commercial bankruptcy cases pending before the United States Bankruptcy Court for the District of Delaware, including debtors, creditors’ and equity committees, trade vendors, asset purchasers, trustees and landlords. Our size, experience and fee structure make us uniquely situated to help our clients effectively navigate the bankruptcy reorganization or liquidation process efficiently and effectively. In addition, we handle business litigation matters for our clients in the United States District Court for the District of Delaware, the Delaware Chancery Court, and the Delaware Superior Court, including contract disputes, corporate dissolution/trusteeship matters, and D&O litigation. Whatever business issues bring you before the Delaware federal and state courts, we can help you obtain an expedient and successful resolution. On February 11, 2015, Radio Shack Corporation filed a motion with the Delaware Bankruptcy asking the Court to approve procedures for the assumption and assignment of leases for 1,734 stores at which Radio Shack is currently conducting store closing sales. For the fourth year in a row, SHA sponsored the Sporting Clays Tournament at the 10th Annual Mid-Atlantic Bankruptcy Conference. This year's winner was Hayes Schildwachter of Guggenheim Partners, LLC. Hayes shot a 35 out of 50. There was a three-way tie for second place at 27: Stuart Brown and Craig Martin, both of DLA Piper LLP's Wilmington office, and our own Zeke Allinson. Garnet BioTherapeutics, Inc. is a development stage biopharmaceutical company that developed a unique cellular therapy with the potential to significantly improve upon the treatment of numerous diseases. This therapy, comprised of human adult bone marrow-derived. . . In a February 10, 2015 letter opinion in the CWC Liquidation Inc. f/k/a Coldwater Creek Inc.) bankruptcy case, Chief Judge Shannon of the United States Bankruptcy Court for the District of Delaware held that a photographer did. . .